Elegance with a little spice in the mix. 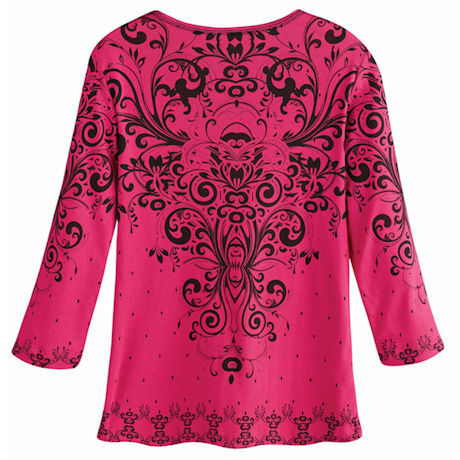 An ornate scrolled pattern covers this can't-miss top, enhancing its hot pink energy with all-over rhinestone sparkle. 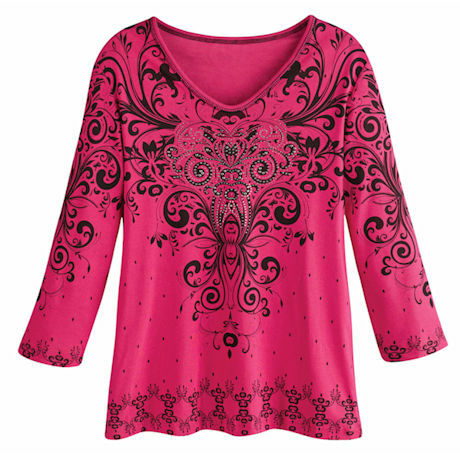 Slightly stretchy rib weave smoothes over your curves; comfy V-neckline and ¾-length sleeves. Machine wash. 100% cotton. Made in the USA. S(6-8), M(10-12), L(14-16), XL(18), XXL(20); M is 24"L.